November 29, 2015  A viral photo montage has made it clear: One dress in particular is extremely popular with women in broadcast news. Meteorologist April Warnecke, who has worn the dress herself, explains why. November 23, 2015  CNN's documentary The Hunting Ground makes the case that universities are letting rapists walk free and has come under withering attack for ignoring facts that contradict the film's claims. November 22, 2015  Buccaneers quarterback Jameis Winston said he'd sue if the network aired the controversial documentary The Hunting Ground, which features assault allegations against him. It aired Sunday night. 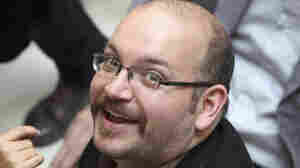 November 22, 2015  Jason Rezaian has been accused by the country of espionage. 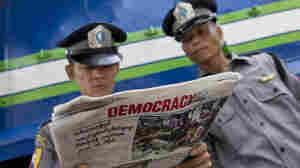 A judiciary spokesman said a sentence had been handed down, but refused to say anything more. November 20, 2015  Netflix's latest venture into the Marvel universe follows Jessica Jones, an unlikely ex-superhero who tries to keep her powers hidden while she works to defeat the telepathic villain who abused her. 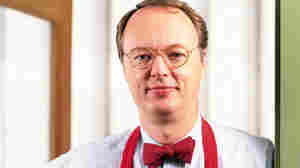 November 19, 2015  Days after announcing that co-founder Chris Kimball had left America's Test Kitchen over a contract dispute, its parent company says Kimball will continue to host America's Test Kitchen Radio. November 18, 2015  In the latest issue of its monthly propaganda magazine, the Islamic State says it targeted the passenger plane in response to Russian airstrikes in Syria. 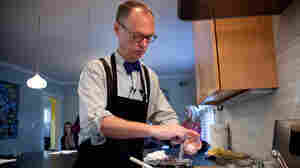 November 17, 2015  Wearing his trademark bow tie and round spectacles, Chris Kimball has hosted 15 seasons of America's Test Kitchen, one of public television's most popular programs. Is There A Hierarchy Of The Importance Of Death In The News Business? November 17, 2015  A day before the Paris attacks, two suicide bombers killed more than 40 people in a crowded commercial district of Beirut, Lebanon. Did the news media cover each story equally? November 14, 2015  Fox News star Bill O'Reilly has used his show to go after a leading critic of his book on President Reagan: The Washington Post's George Will, who is also a Fox News contributor. November 14, 2015  For years, it's been NPR's style to say that Myanmar is "also known as Burma" at the start of reports about that nation. We don't think that's necessary anymore. November 13, 2015  "If you want to stand there and put your hands up, I respect that. That is your right. 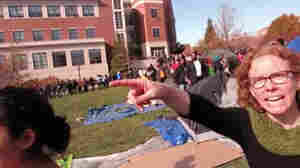 But shoving people is not a right," said Tim Tai, student photographer. November 11, 2015  Melissa Click was seen in a video asking for "muscle" to kick out a journalist from the scene of a protest. Click gave up her "courtesy appointment" at the prestigious School of Journalism. November 10, 2015  When student protesters confronted journalists, some faculty members seemed to forget about the First Amendment, NPR's David Folkenflik says. 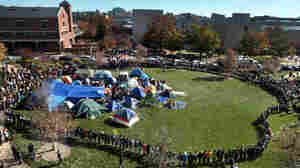 November 10, 2015  After demonstrators catalyzed the resignation of two executives at the University of Missouri Monday, they did not want to talk to the press, leading to tense interactions between some demonstrators and members of the media.